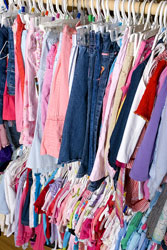 When you donate clothes in Athens, Georgia to benefit American Kidney Services, you’re contributing to the American Kidney Fund, a renowned charity that helps thousands of patients with kidney disease pay for their transportation, dialysis treatments, and medication. The work of the American Kidney Fund is crucial because kidney disease is very expensive to treat and is characterized by physical debilitation, which affects patients’ ability to work. Aside from helping patients of kidney disease and decluttering your home of belongings you no longer use, when you donate clothes and other items to American Kidney Services, your donations will be considered tax deductible. 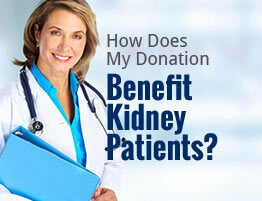 * Plus, the process of donating to our charity is easy and convenient. If you’d like us to pick up your donations from your driveway or curb, we simply ask that you fill out our online form. You can also donate clothes and other items by leaving them in any of our drop boxes located around the Athens, GA area, or leave your donation at your nearest Value Village thrift store. To learn more the process of donating to us or about our charity, feel free to contact us today. We’ll be happy to answer any of your questions and further explain how your decision to donate clothes and other items to us benefits patients with kidney disease.